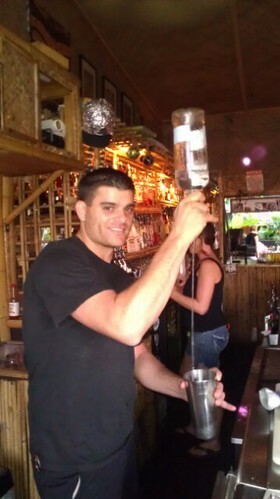 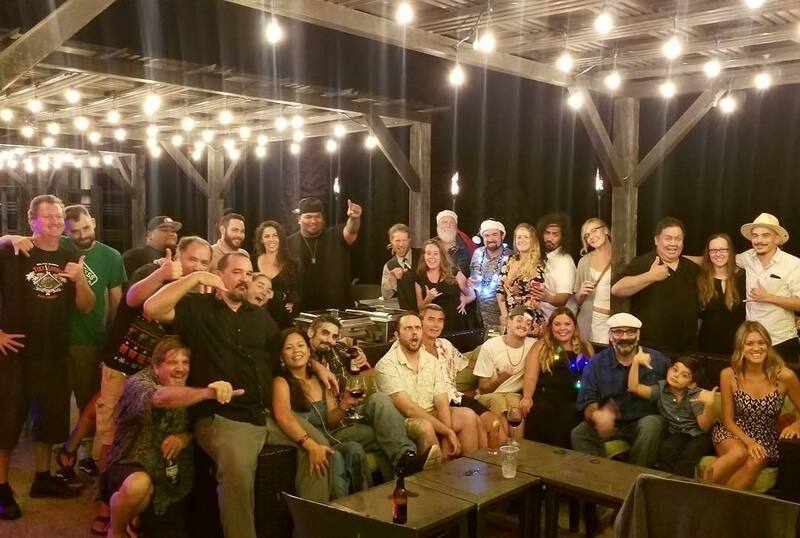 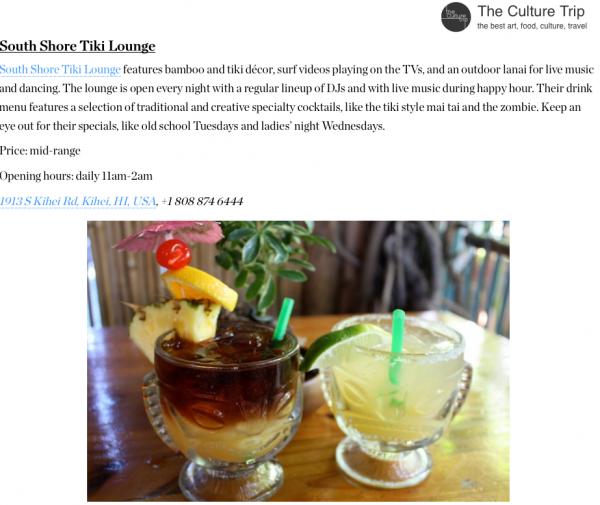 Culture Trip named South Shore Tiki Lounge one of best bars on Maui. 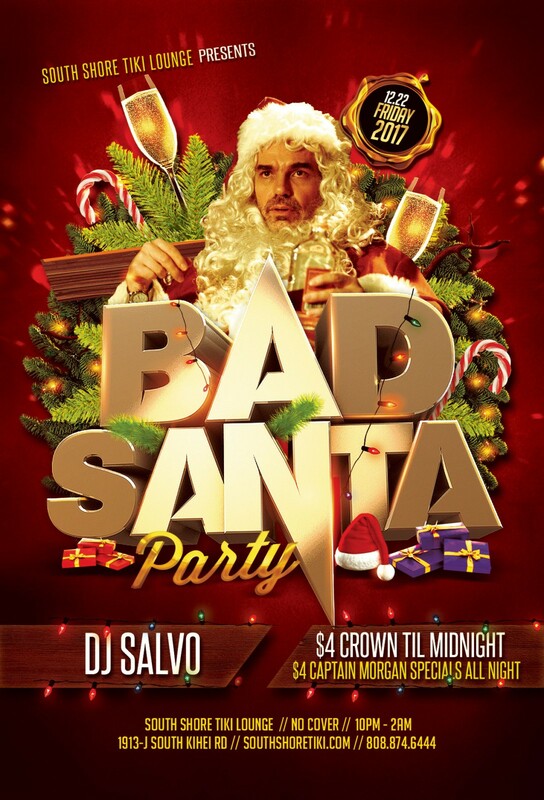 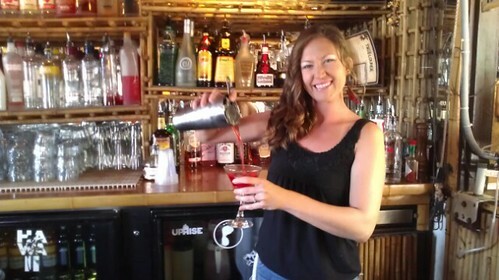 Best Bar on Maui 2014! 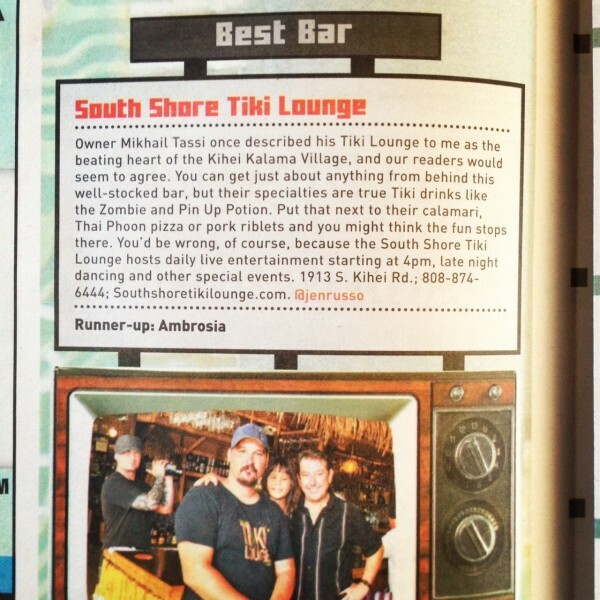 Mahalo for voting South Shore Tiki Lounge Best Bar on Maui for a 2nd straight year! 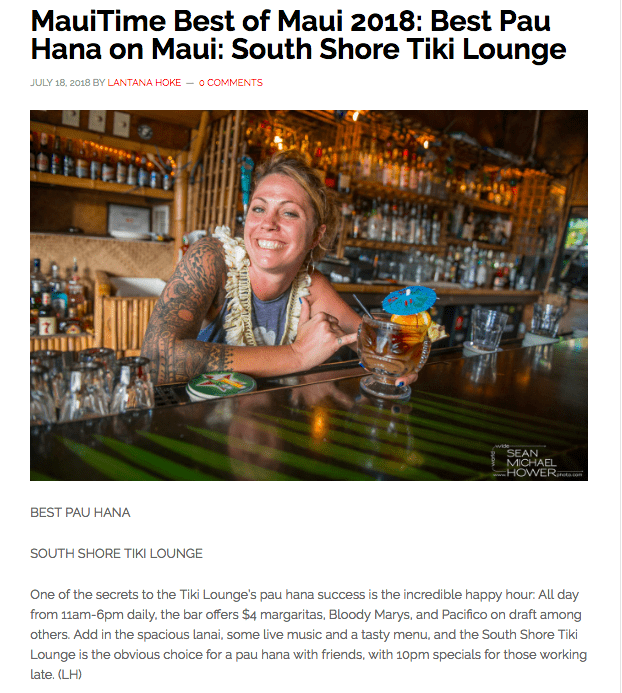 "Little gem of a local favorite"
Thank you to AAA Hawaii for the sweet article. 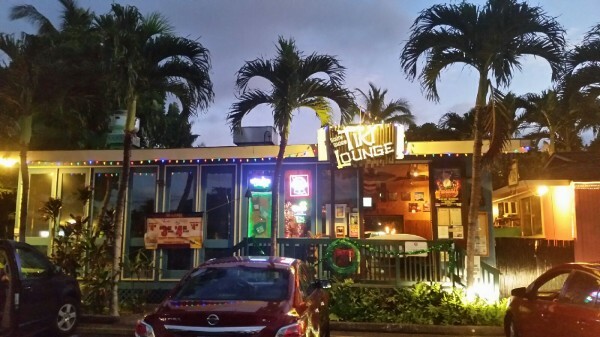 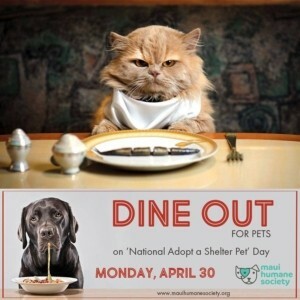 We’ve never been called “adorable,” and we’ll take it! 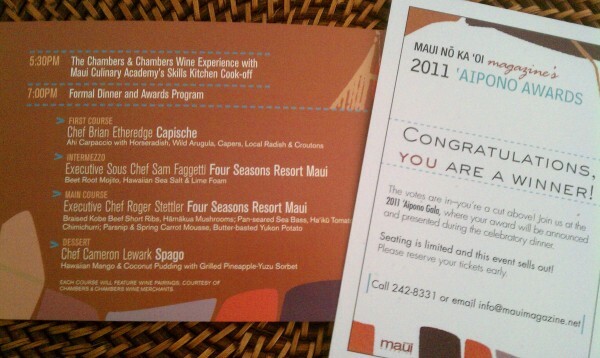 Our invitation to the 2011 Aipono Awards arrived! 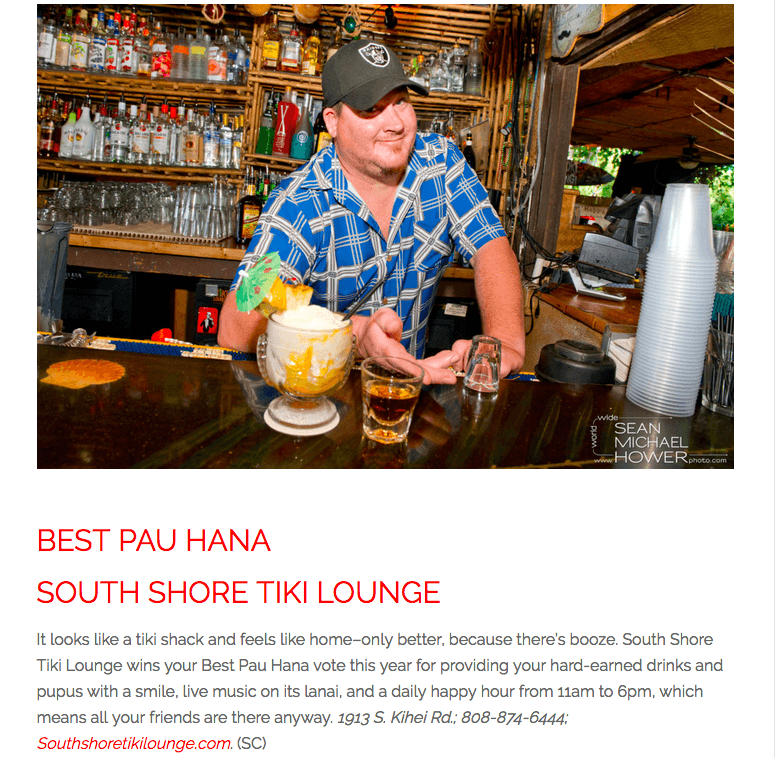 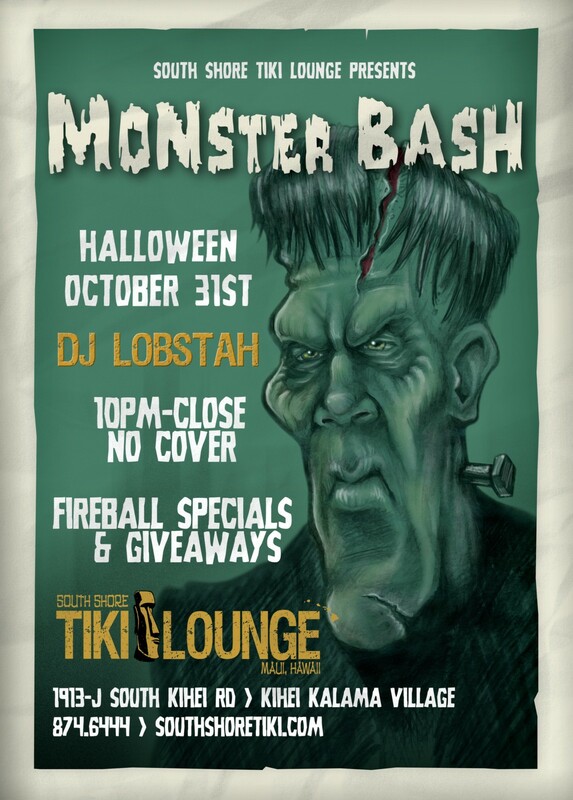 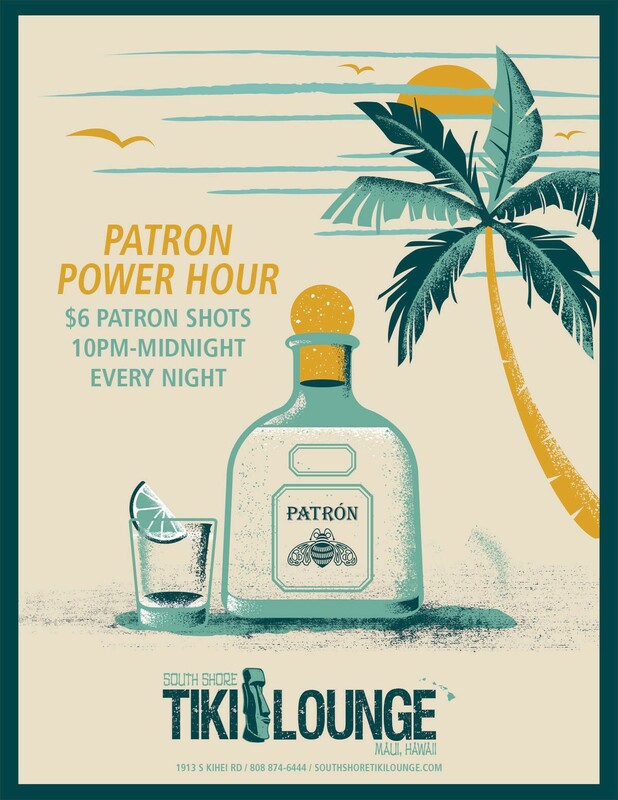 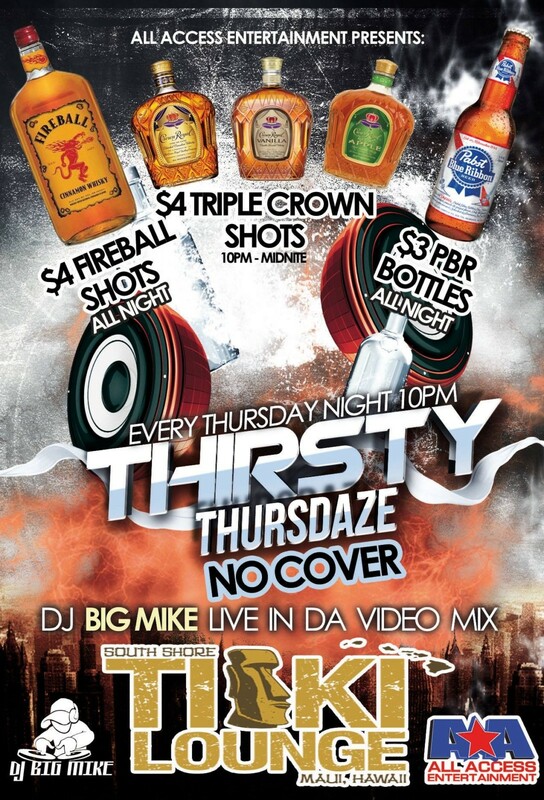 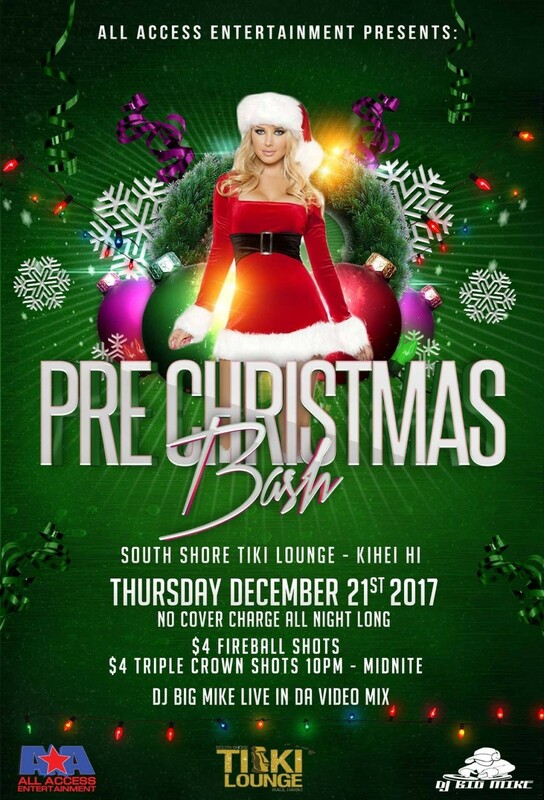 South Shore Tiki Lounge won the Silver Aipono for Best Bar in 2009, so we are going for gold this year. 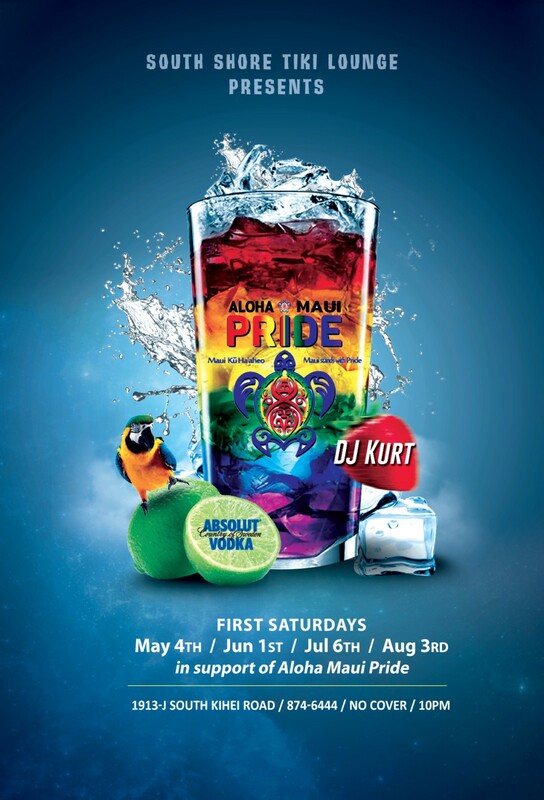 Awards are announced at the gala event on April 17th at the Four Seasons. 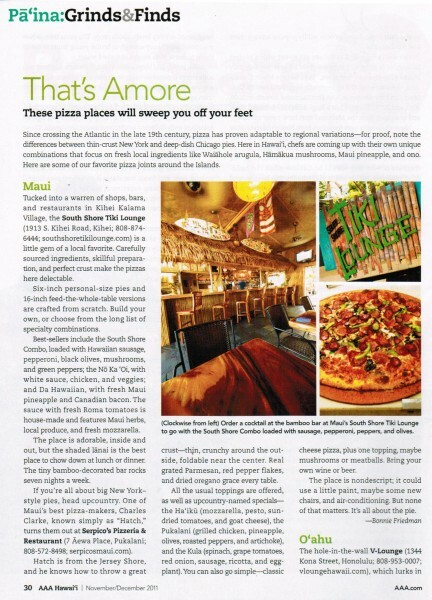 Thank you to the readers of Maui No Ka Oi Magazine for voting for us. 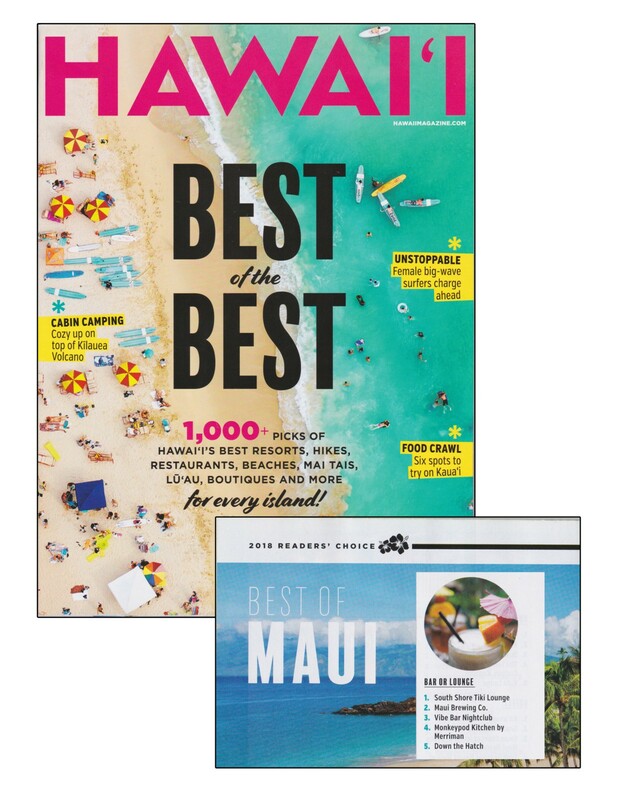 It’s an honor to be included among the very best in our industry.